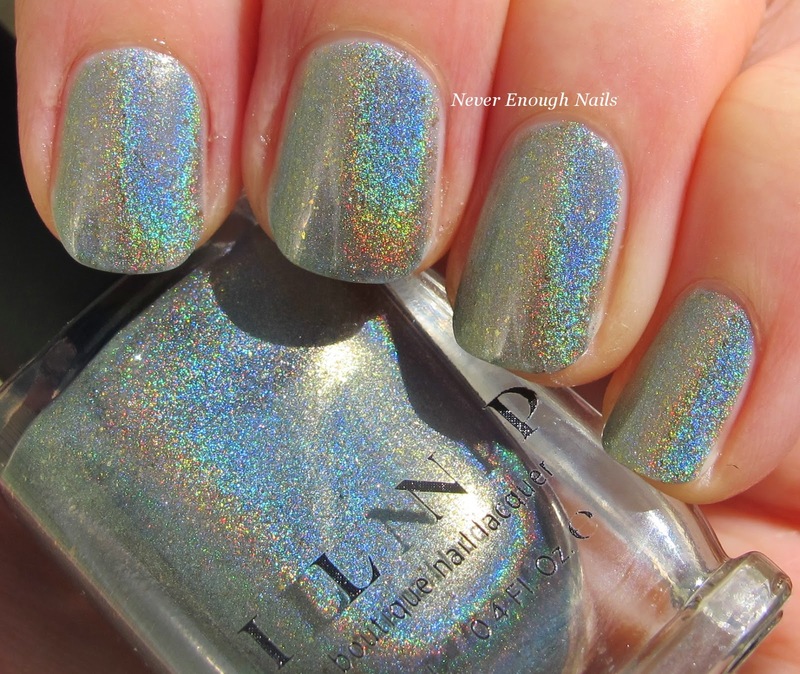 My love affair with ILNP continues today with I Love Nail Polish Timeless Vow. Timeless Vow is a super unique dusty sage green with gold flakes and linear holographic pigment. The green base is kind of minty-ish, with some hints of grey. 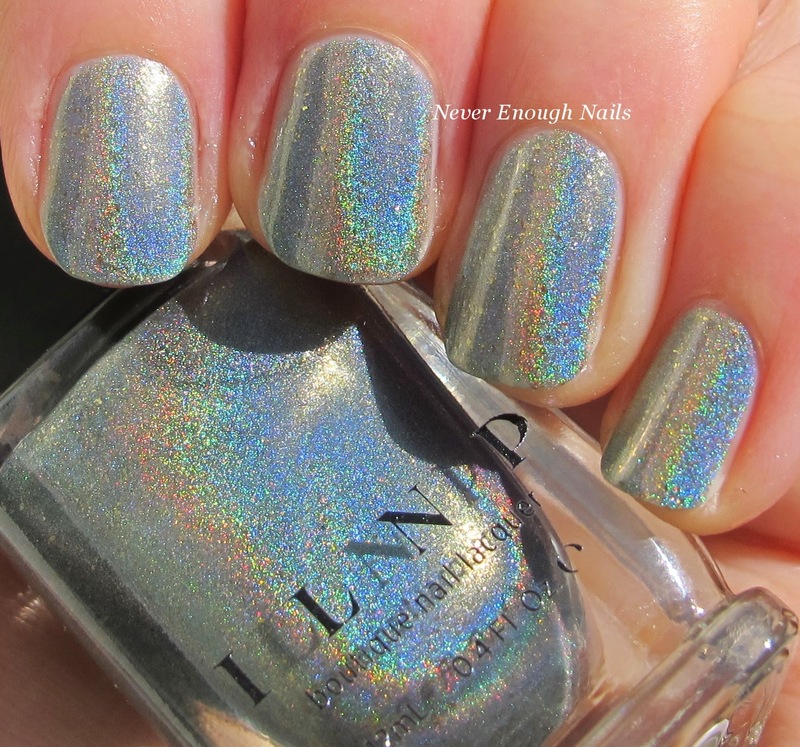 The holo in this is extremely holographic and rainbow-y in the sun, but I did keep catching holo flashes indoors too. That's why my next picture in is such dim lighting- I wanted to show you what it looks like without a lot of light. Timeless Vow was easy to apply and I used three thin coats in these pictures. I didn't have to do any clean-up here at all. The first coat seemed sheer, but it definitely built up to full opacity in three coats. I grabbed Timeless Vow during the preorder, but it should be available on ILNP.com sometime in the next few weeks, with the rest of the spring collection.